As every workout is different in sometimes small, almost invisible details, so are our post-workout routines. But, as with almost every human on the globe, we live for routines – the more regular, the better. So, after our same but different workout, what do we do to take us from sweaty and depleted to fresh and ready for more? To satisfy your curiosity, this week we’re sharing our post-workout secrets. 1.) Wash my sweaty face, tout de suite – such a good feeling to remove all that grimy, hot, salt residue. 2.) Make a fresh brew of green tea – to hydrate and soak up some antioxidants. 3.) 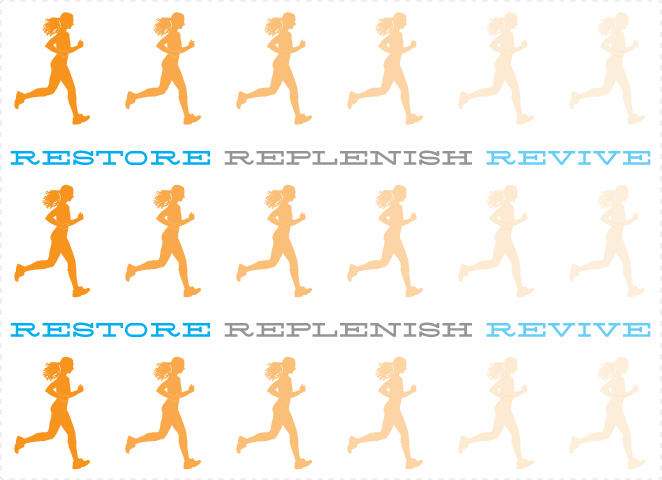 Analyze analyze analyze the run – how were my energy levels? did anything hurt? how did I handle hills? did I finish strong? how are the feet doing? what was special about the route today? on a scale of 1 to 10, how much did I enjoy the run? 4.) Write up the run in my log – maintaining track of mileage and frequency keeps me honest, and hopeful. 5.) Restore the body through food – I try to recover lost energy through a combination of protein, veggies and carbs — just like everyone after a workout, I suspect. These few simple steps complete the workout stage and push me forward into the rest of the day, energized. But, I must add that after a longer run my energy stores might be completely whacked for the rest of the day, and the post-workout routine is helped along with an epsom salt bath, and a few hours of downtime will achieve the cure.